(by Greg Jaffe, The Washington Post, February 3) – Unmarked Israeli warplanes and helicopters have carried out dozens of covert attacks against the Islamic State and other terrorist groups inside the Egyptian Sinai in recent years, said two former senior U.S. officials. The airstrikes by Israeli planes are conducted with the support of President Abdel Fatah al-Sissi, who has led an often brutal campaign inside Egypt to wipe out the Islamist militant groups but has struggled to defeat them. In November, the Egyptian affiliate of the Islamic State launched a brazen attack in which nearly 40 gunmen stormed the al-Rawdah mosque in Egypt’s sparsely populated Sinai, killing more than 300 worshipers. The terrorist group, which consists of more than 1,000 members, first came to widespread public attention for its suspected role in the downing of a Russian airliner in 2015, in which 224 people were killed. Egypt’s military has struggled for years to destroy the group, which briefly seized control of the northern Sinai town of Sheikh Zuweid and has launched dozens of attacks on soldiers, police and Coptic Christian churches. 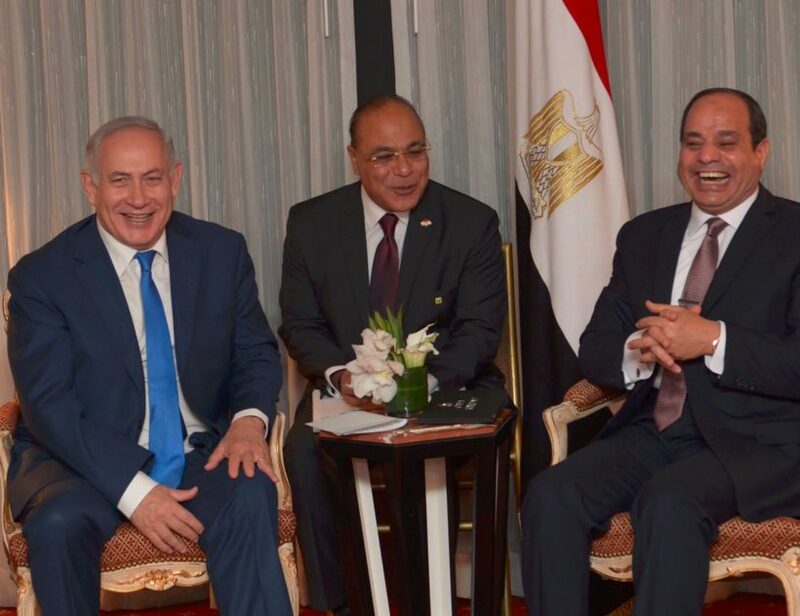 [The Israel-Egypt collaboration “is the most dramatic evidence yet of a quiet reconfiguration of the politics of the region,” the New York Times said, in which shared concerns over Islamic State, Iran and Islamic extremism “have quietly brought the leaders of several Arab states into growing alignment with Israel — even as their officials and news media continue to vilify the Jewish state in public.”]. Israeli security officials say that their regional security concerns increasingly align with those of the Persian Gulf states. In 2016, Defense Minister Moshe Yaalon said Israeli officials were secretly meeting with counterparts from the gulf in “closed rooms” united against a common “bad guy” — Iran. Another former U.S. official said the cooperation underscores how ineffective the Egyptians have been in combating militants on their own soil. [According to the US sources, Israel began its airstrikes following the capture of a north Sinai town by the Islamists and the downing of a Russian charter jet over Sinai in October 2014 that killed 224 people. They said Israel has had a string of successes in killing the terrorist leaders.]. The official also said news of the cooperation, which he called one of the least well-kept secrets in the Middle East, is unlikely to have repercussions among ordinary Egyptians. The Israeli counterterrorism strikes in northern Sinai were first reported by the New York Times. An Israeli military spokesman declined to comment on the alliance or confirm the existence of Israeli military operations inside Egypt. Although there was an awareness of the strikes within the U.S. government, the former official said, the United States did not play a significant coordinating or supporting role. …..
U.S. officials have been carefully monitoring some of the group’s more significant affiliates, such as the branch in Sinai, to see how they may be affected by the broader collapse of the core group. The Washington Post’s Loveday Morris in Jerusalem and Carol Morello in Washington contributed to this report. 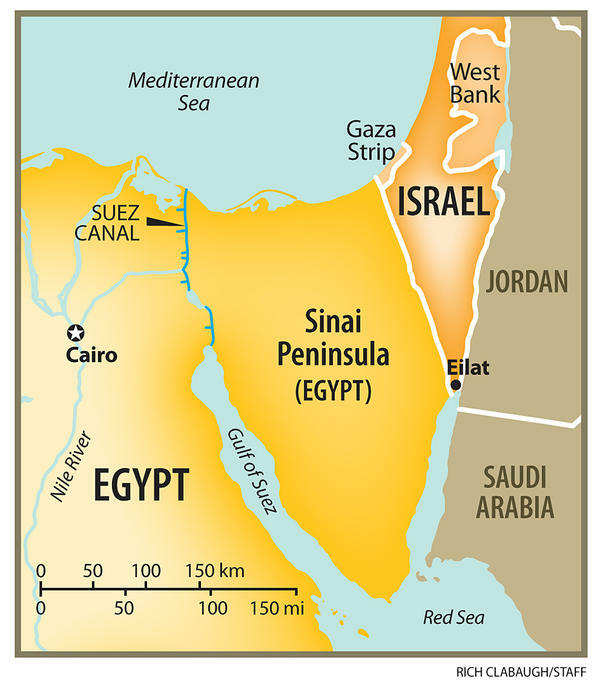 b) Why is Israel helping Egypt? c) Why do you think President Sisi has to keep Israel’s involvement a secret? d) Do you think Prime Minister Netanyahu has kept the missions classified for the same reason? Explain your answer. Egypt, Israel and Hamas broadly began to tighten security cooperation two years ago, forming an unlikely alliance as the Islamic State’s offshoot in Sinai began to stage more sophisticated, sustained attacks. Under pressure from Egypt, Hamas has tightened its border with Sinai amid concerns in Cairo that Gaza could be used by Islamic State members as a staging ground. The Islamic State has lost much of its self-declared caliphate in Iraq and Syria over the past three years but remains a threat. Some U.S. counterterrorism experts warn that the group could step up terrorist attacks to prove its relevance, despite the collapse of its armies in Iraq and the loss of Raqqa, its capital in Syria.